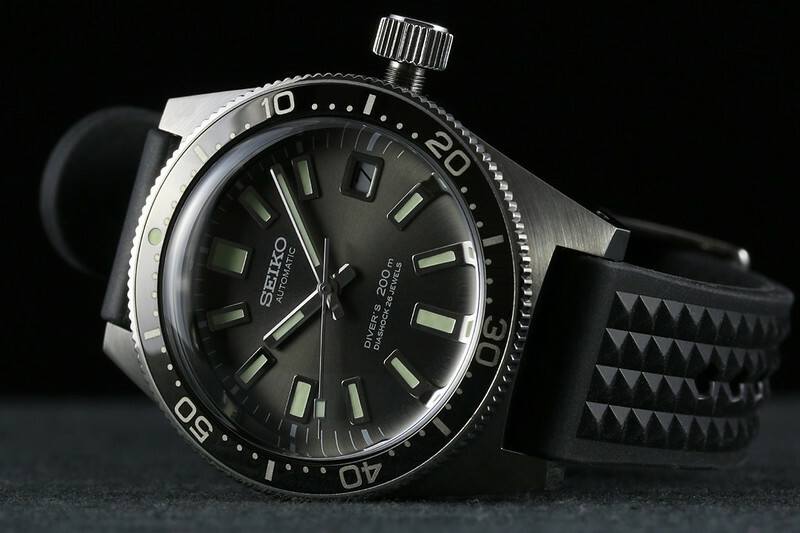 I think it's safe to say that anyone that has any interest at all in Seiko and / or diving watches has already heard about this one. 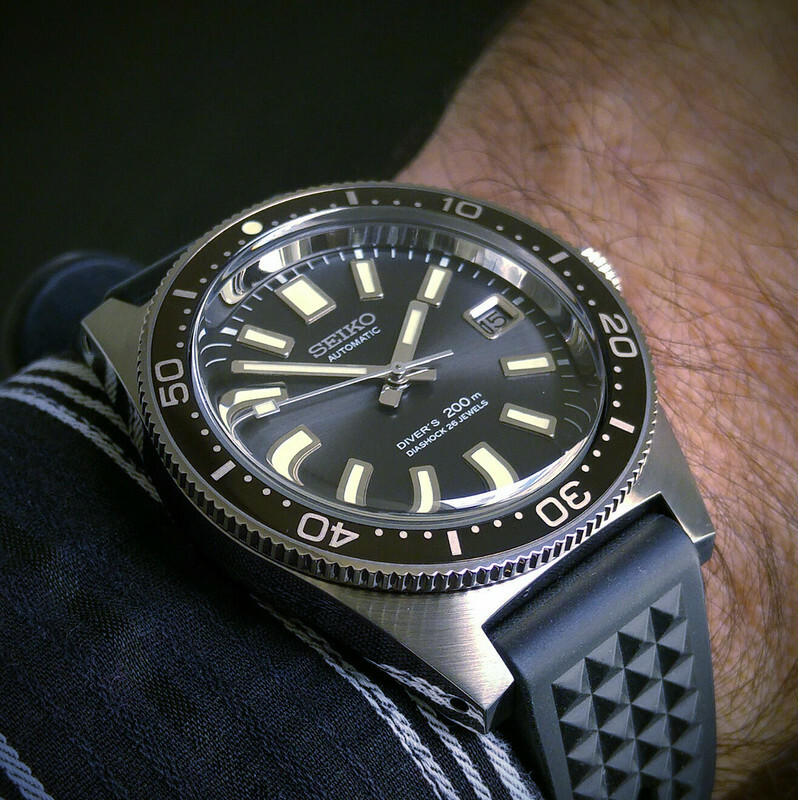 In fact, it's hard to find a watch-blog right now that hasn't done a write-up on it. 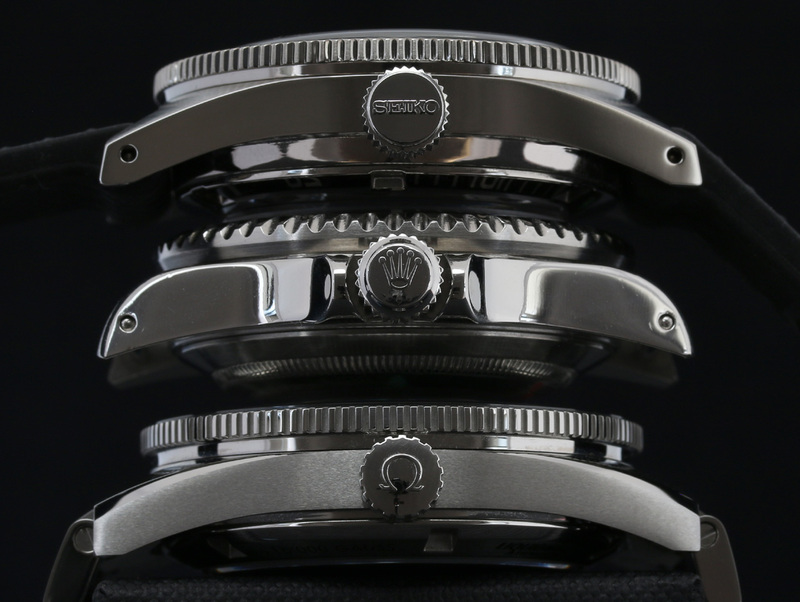 A couple of obvious reasons are that Seiko just started rolling out the production units. Basel only had prototypes on hand, behind glass cases, hands-off for all but the most VIP publications and their editors. Secondly, it's a very exciting release for pretty much all Seiko / Prospex fans, given it's amazing faithfulness to it's origins, Seiko's very first diver, the 1965 "62MAS" (6217-8000/1). 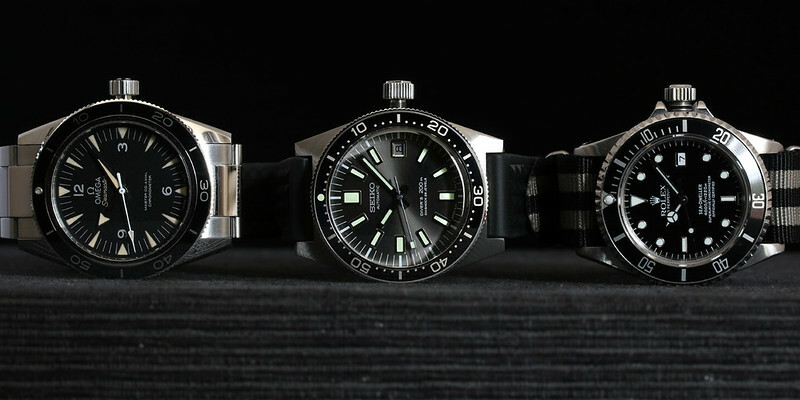 The history of Seiko's involvement in diving watches doesn't reach quite as far back as Rolex or Omega's, but interesting all the same, even if not represented by the likes of COMEX or the U.S. Navy's Sea-Lab or Cousteau et al. 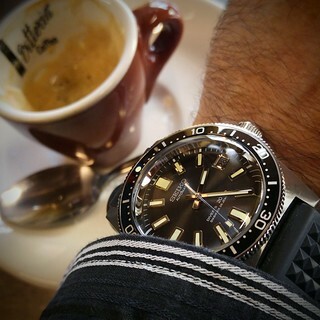 Rolex had the 5513 Submariner out and Omega was already on their 2nd gen of the Omega Seamaster 300 when Seiko released the 62MAS. However things moved on quickly from there, with the 1968 "Diver's 300M" (6215-7000), 1975 "world's first titanium cased diver's watch, the Professional Diver's 600m" (6159-7010 - Grandfather Tuna), 1978 The Professional Diver's 600m, the world's first saturation diving watch featuring a quartz movement. 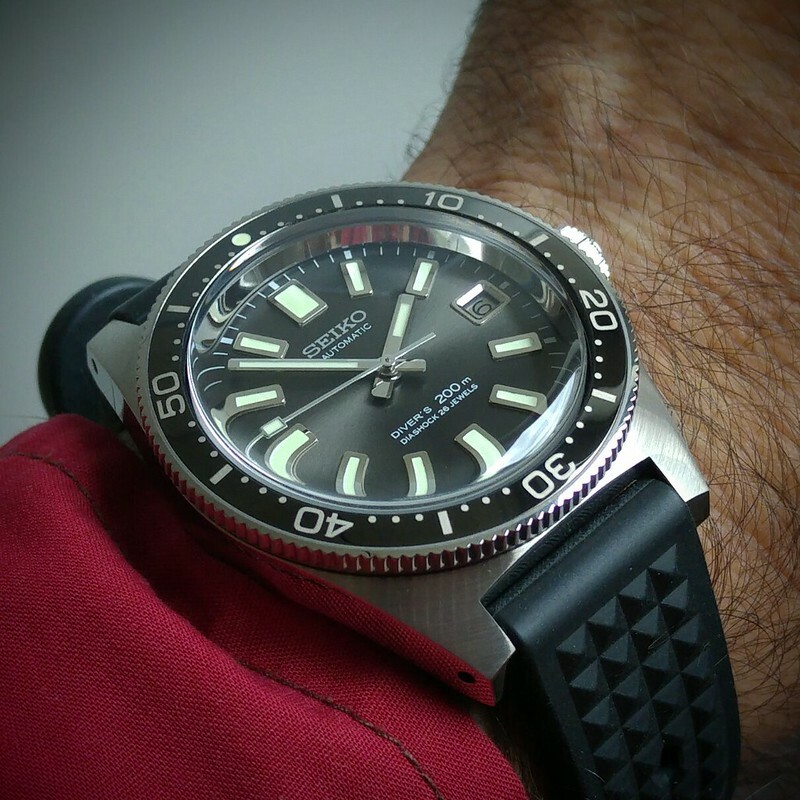 Perhaps Seiko's most interesting milestone in (pre-dive-computing era) diving watches was the monocoque case solution to the Helium-saturation problem, avoiding the need for an HEV which the other manufactures implemented (Doxa, Omega, Rolex, ...). 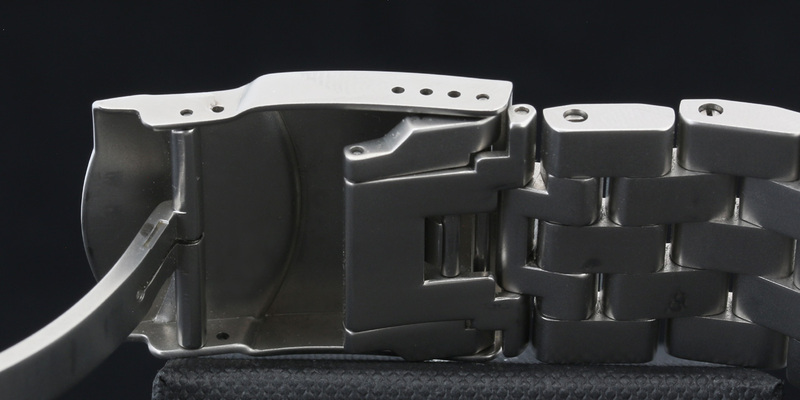 But Seiko can also be credited with other dive-related firsts; New to me was the fact that the "accordion" diving strap used by many companies was actually invented by Seiko! 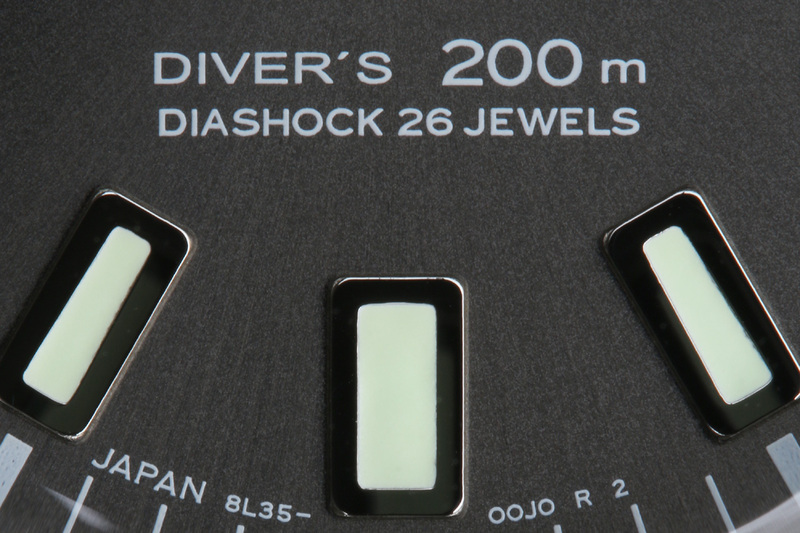 There's also little doubt that the Quartz giant played a definitive role in the dive-computer era, including the first Dive computer in 1990. 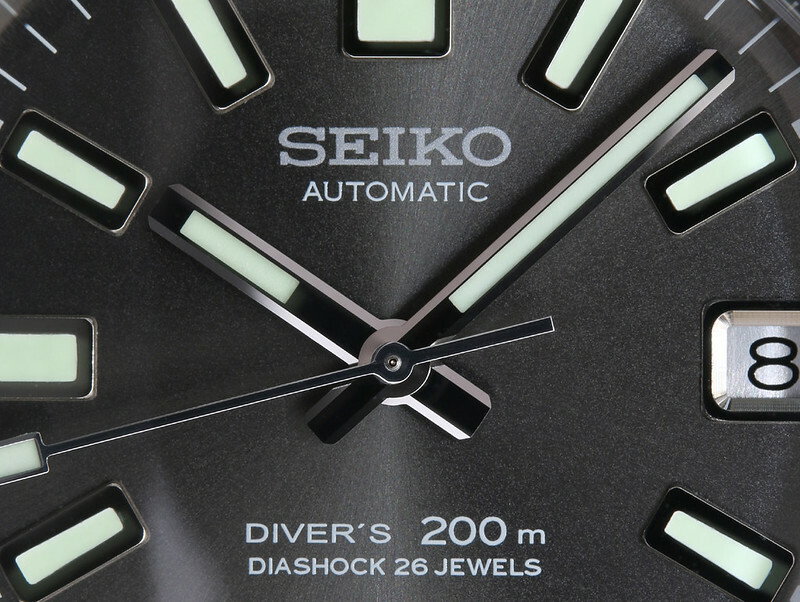 "62MAS" was Seiko's official designation consisting of the first two digits of the movement (6217) and MAS from "Seikomatic 395 Selfdater" a designation associated with a model that appeared just before the 6217 (it's predecessor, the "Seikomatic Silverwave" having the simplest designator, "MA"). 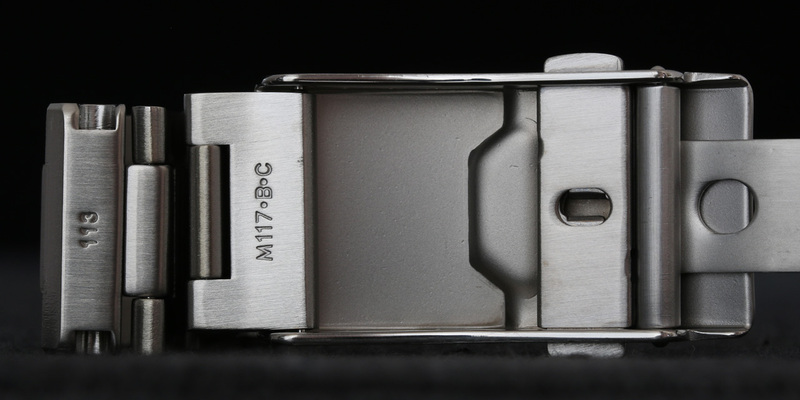 The SLA017 has no such designator (known to us, in any event). 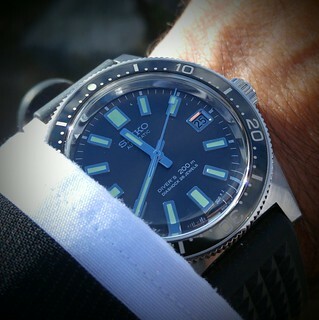 It does however use Seiko's current mechanical workhorse, the 8L35. 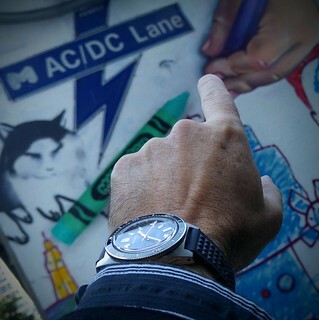 There's quite a bit on the Net regarding this movement so I will only touch upon the basics. 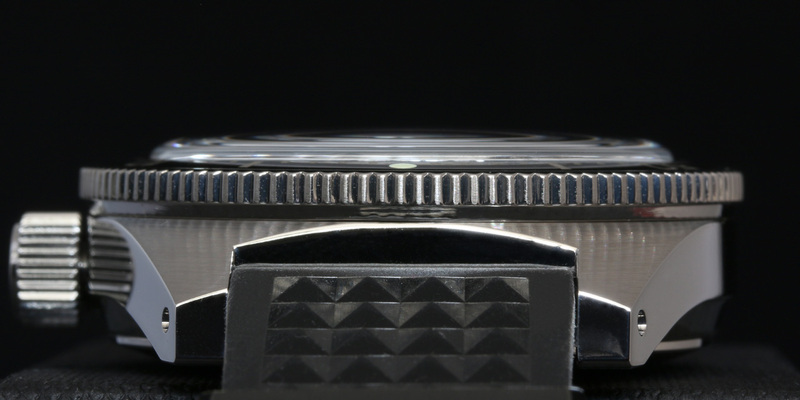 The 8L35 belongs to the 9S5 movement family introduced in 1998. The "9S" are dedicated to the Grand Seikos while the 8L is a "less decorated*" and "less adjusted" duplicate of the 9S. 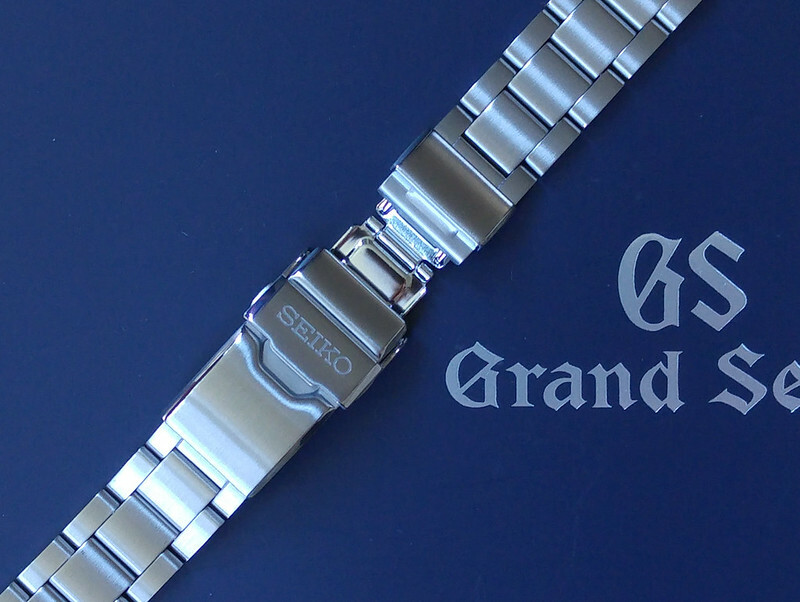 The 8Ls are used in the Prospex line (and possibly other Seiko lines). The 8L35 is in use in several current models, such as the "Marinemaster Professionals" 300m (SBDX017) and 1000m (SBDX013/14). 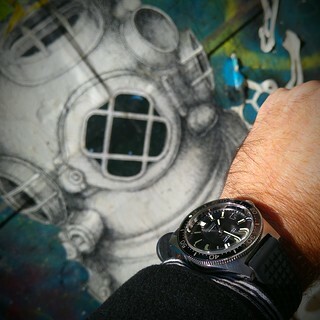 Going upwards we have the 8L55 "Hi-beat" for a LE of the MMP (SBEX005) and a (slight) step downwards, the 6R15 for the "Diver Scuba" series (SPB051J/SBDC051, SBDC029/31/39). 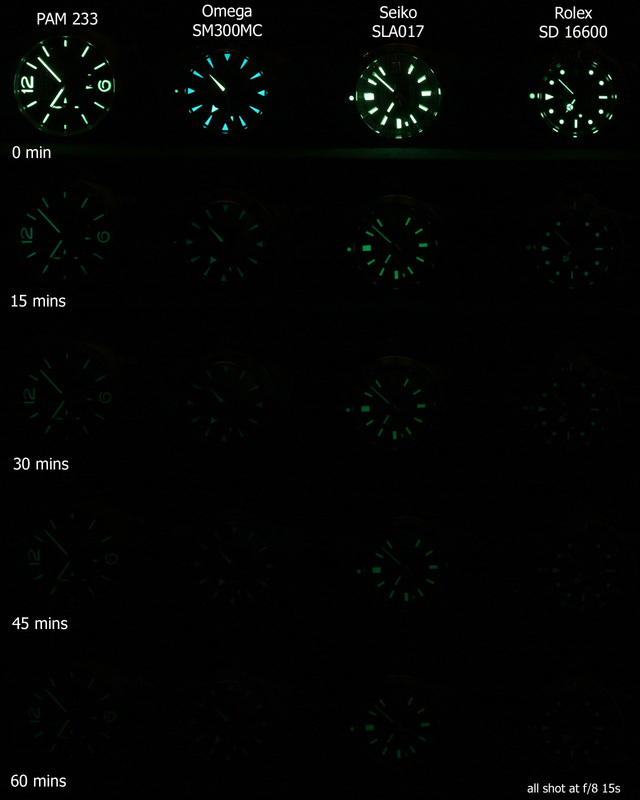 The 8L35 has a PR of 50hrs and suggested accuracy of 10-/15+ (vs. the 6R15 rated at 10-/25+). 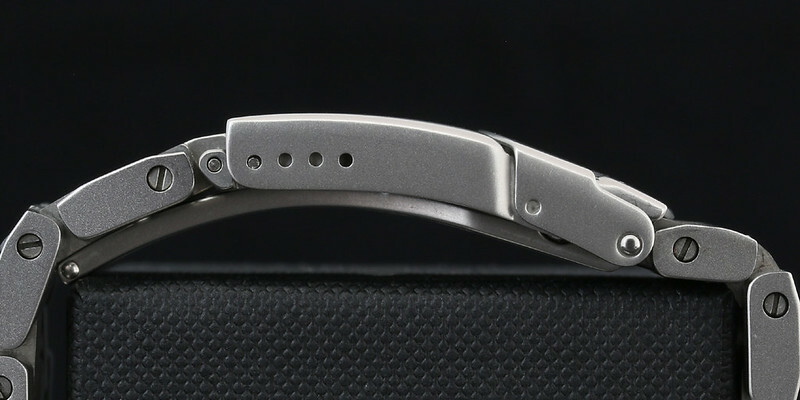 Mine seems to be currently around +10s but I haven't worn it enough and expect it to settle a little, maybe down to +6~7s which is more than satisfactory. 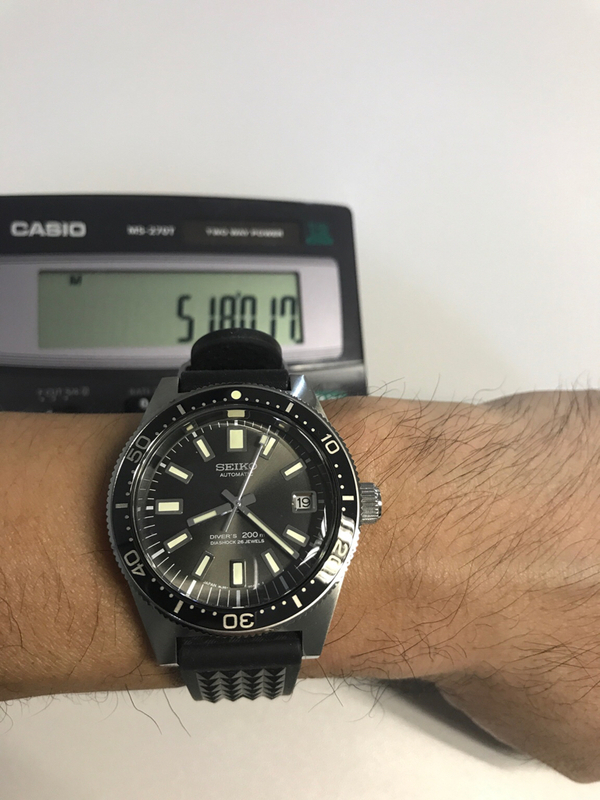 My SM300MC and Seadweller 16600 are also in this range so there's no reason for concern. Besides the reasonable accuracy, the movement has essentially been in production for 20 years without any major modifications. 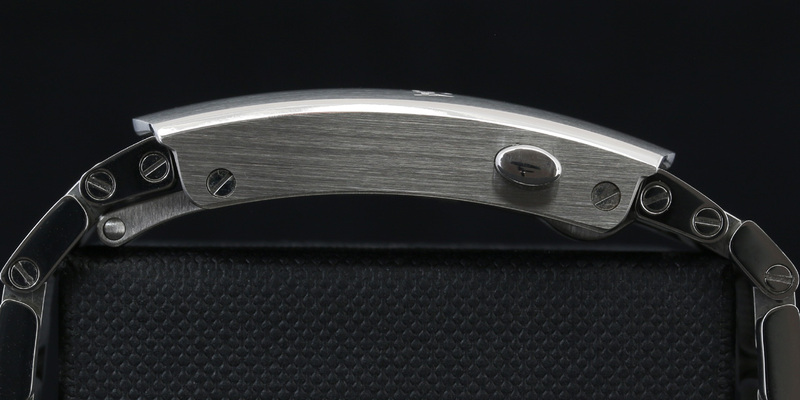 *Thanks to a fellow WIS "Yosson" and his feedback on IG, the modern "8L35B" has a nicer finish than the originals and therefore the term "unfinished" is no longer applicable. 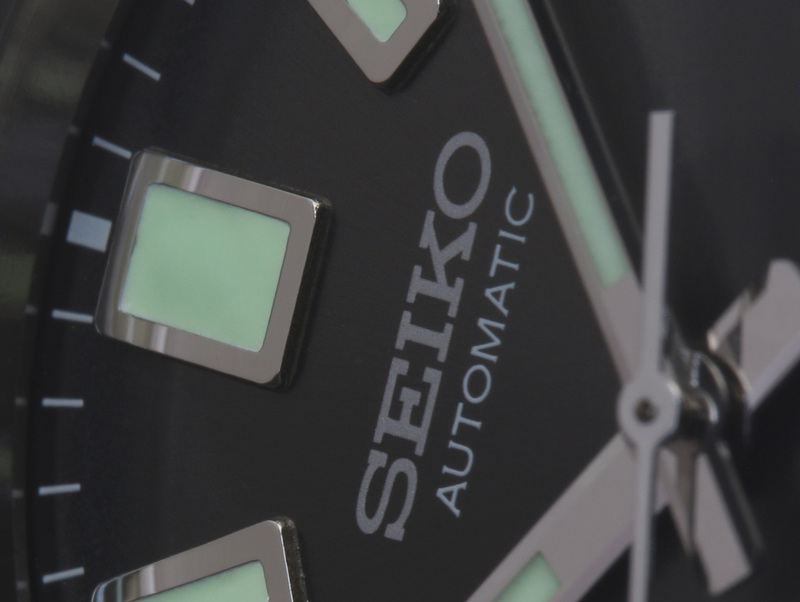 Compared to its ancestor, the SLA017 naturally makes use of Seiko's advancements over the past 50 years. 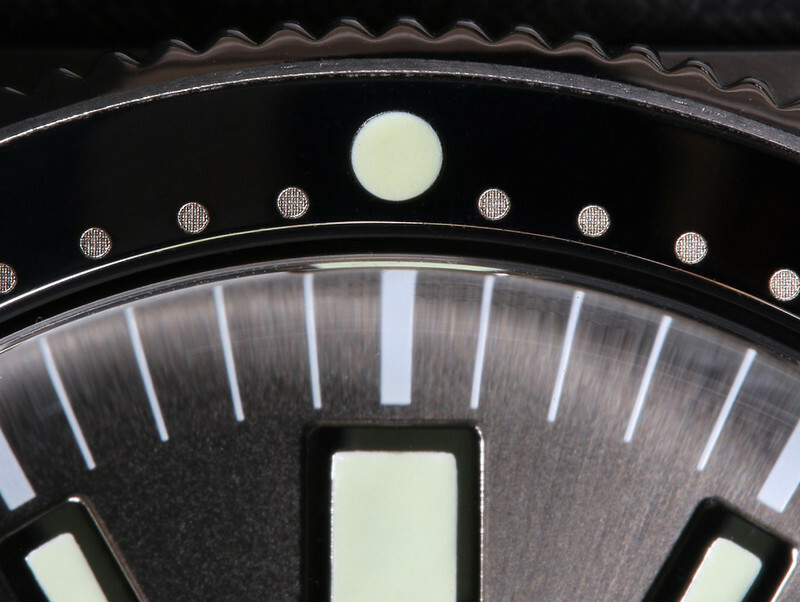 Most notable are the improved movement with longer PR, hacking seconds, better depth rating (150->200m) unidirectional bezel, screw-down crown, sapphire crystal and (what certainly must be) a higher level of fit & finish all the way down to the dial. Seiko used their updated Lumibrite (Tritium has excellent luminosity but only for say, seven years...). Finally, an increase in case-size given today's preferences (37 to 40mm). 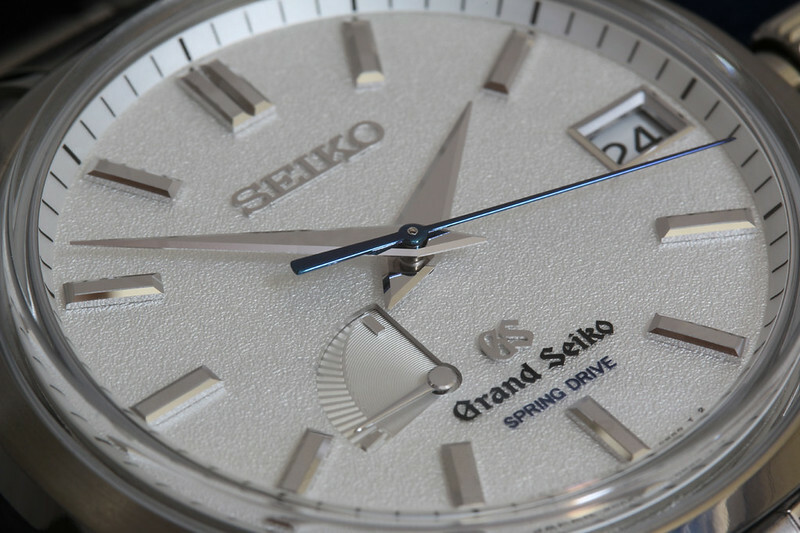 It's also quite satisfying knowing that the watch is assembled by the same team(s) that work on the Grand Seiko mechanical watches at Seiko's Shizuku-ishi Watch Studio (Morioka Seiko Instruments). 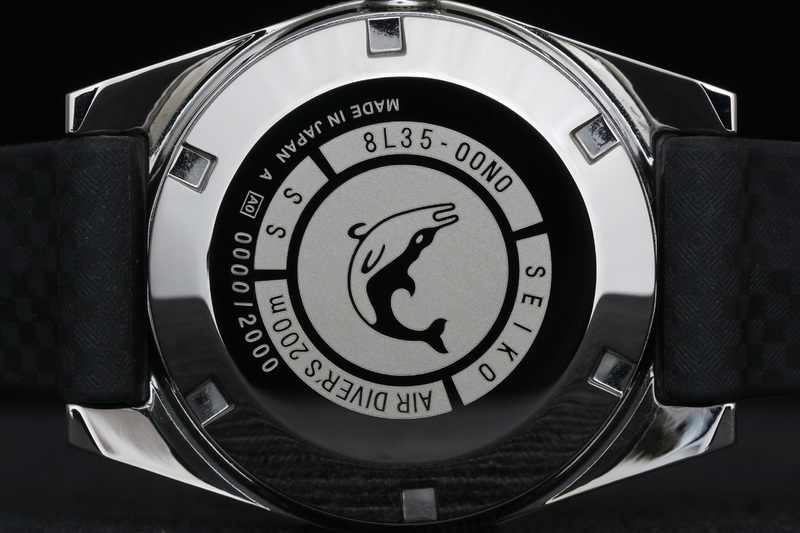 At the same time, Seiko went out of their way to honor the original with this "re-issue", from the case finish down to the Dolphin* on the caseback. 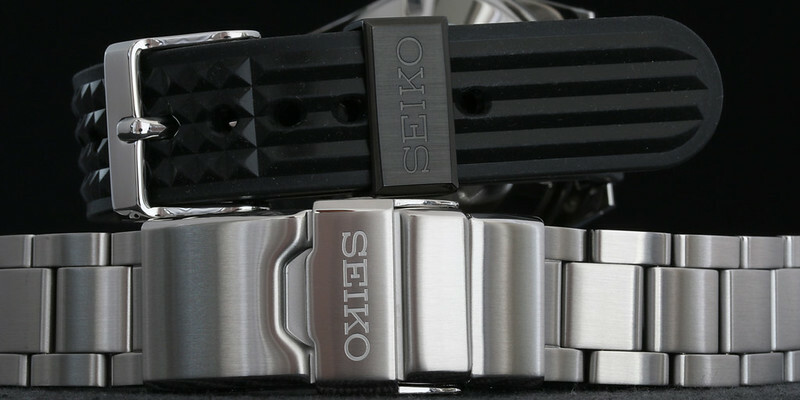 Seiko even supplied the same style of "waffle" silicone strap that came with the ~2nd iteration of the 62MAS (the first batches were delivered with so-called "Tropic Rubber", most likely the very first rubber strap ever made). *On a side-note, the Dolphin made a short appearance on a few Seiko divers "in between" Seiko's more common Tsunami wave. The reason for the switching back and forth is unknown (...to me, at least). 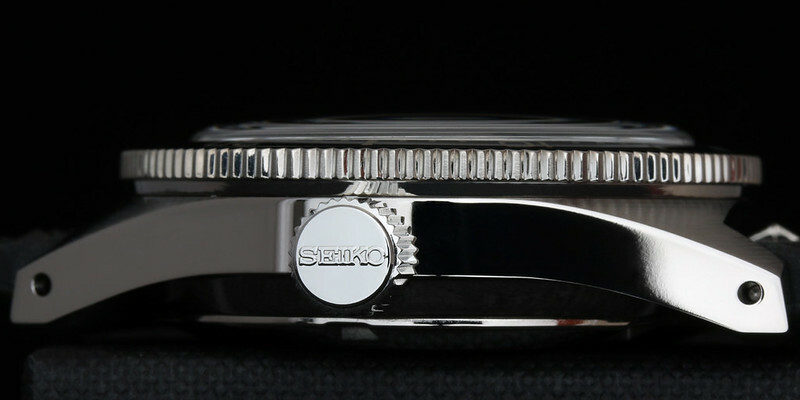 When I saw Seiko's announcement for this year's Basel, it took me all of one minute to decide I had to have this watch. 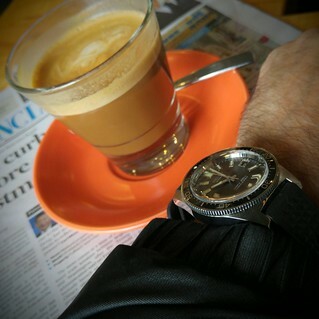 I'd been hunting for a Prospex for over a year. 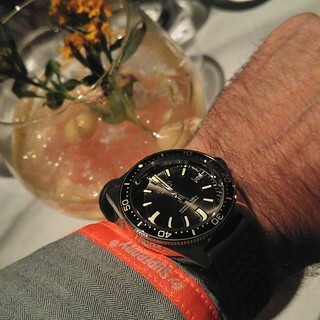 I tried several from the Marinemaster Pro series (300m MM, 1000m Tuna) but for one reason or the other I couldn't commit. 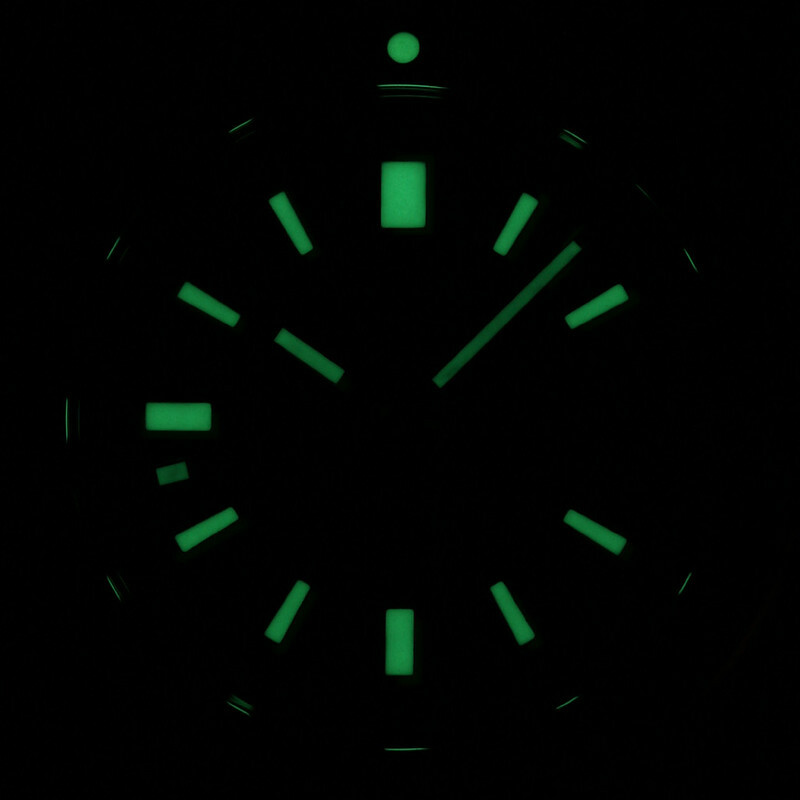 Et voila, the SLA017 was the definitive answer! 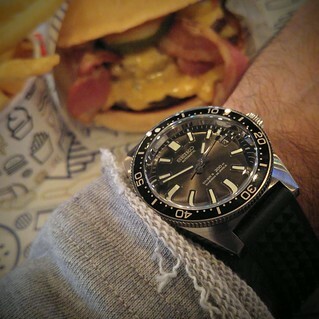 I love the vintage look; much of my humble watch collection is based on vintage tributes or pieces that essentially haven't changed, like my Speedmaster or Sea Dweller ... timeless! 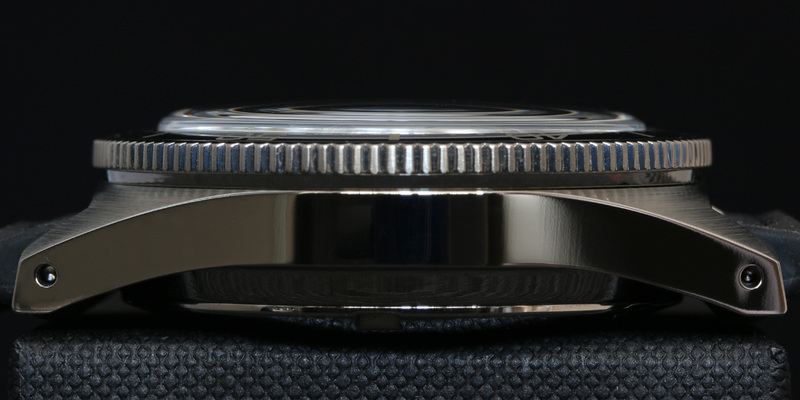 Add to that the meticulous execution of every detail, almost rivaling my SBGA125, from the domed crystal to the (green!!!) 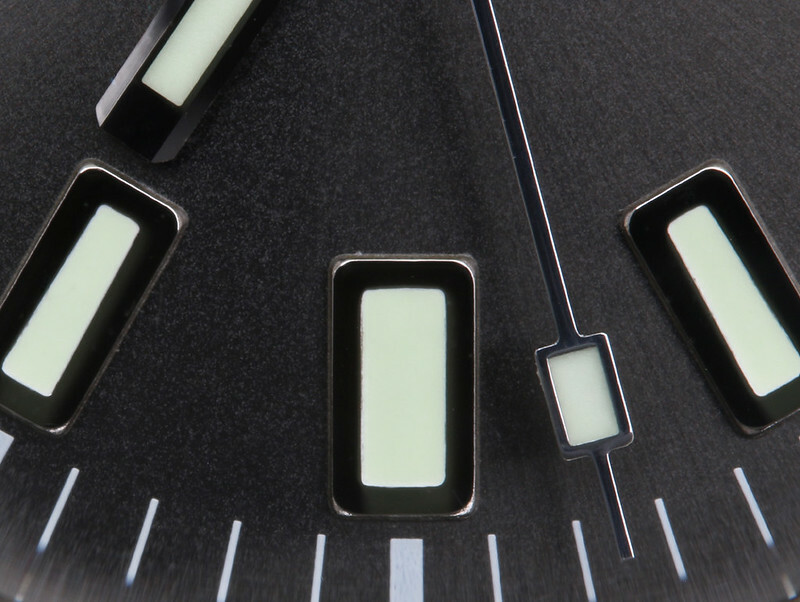 lume to the bold lines of the radial-brushed case. 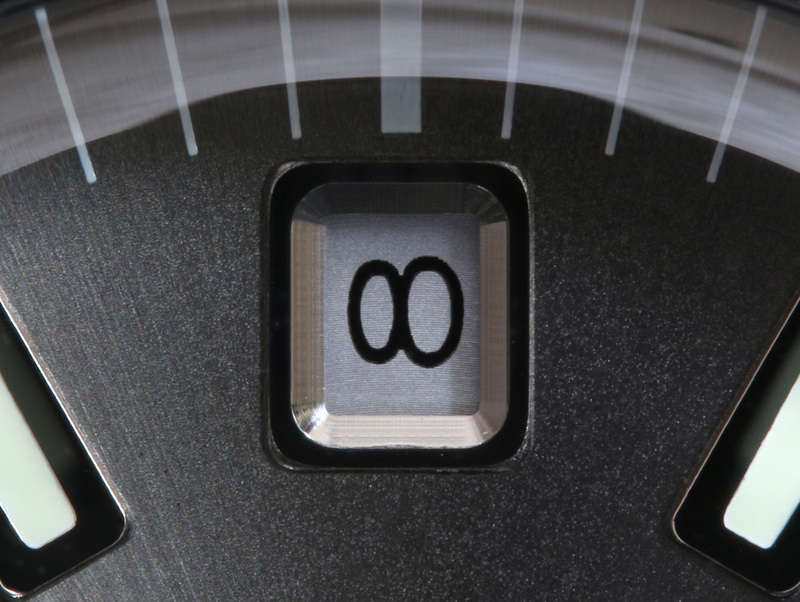 In fact, it's almost perfect. 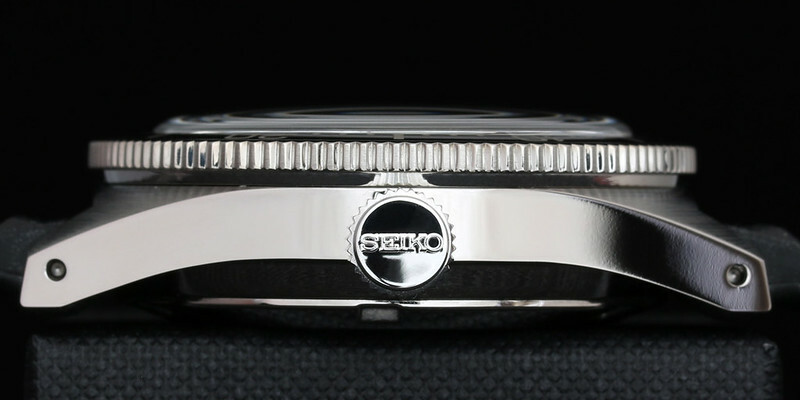 Had Seiko used an applied logo and went with an embossed caseback, it would have been sheer perfection... . But darn if it ain't close enough ...and yes, well worth the price of entry. 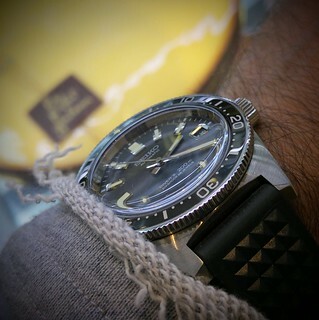 Choices, choices... but not for me; the waffle strap is the way to go - retro! That and maybe some Tropic rubber... yesss! Excellent job. Very interesting. 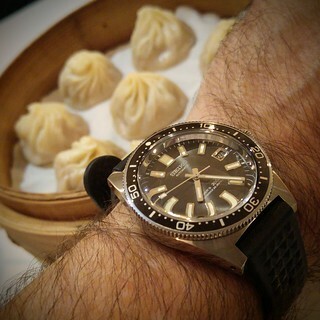 I'm thinking about trading in one of my Rolex pieces to get one of these. 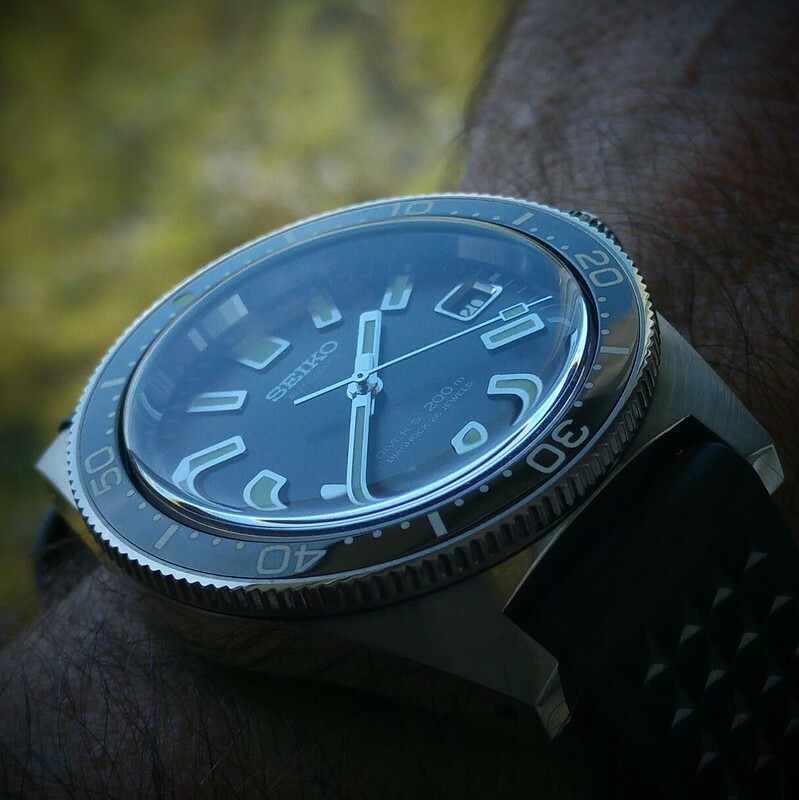 Great review and even better exposures! I imagine it took some time to set-up those shots with the perfect angles and lighting conditions. 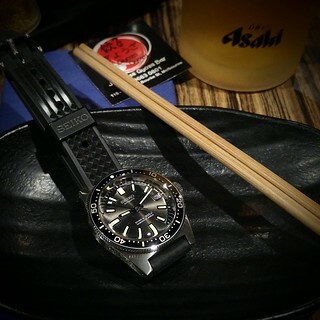 Awesome watch too! 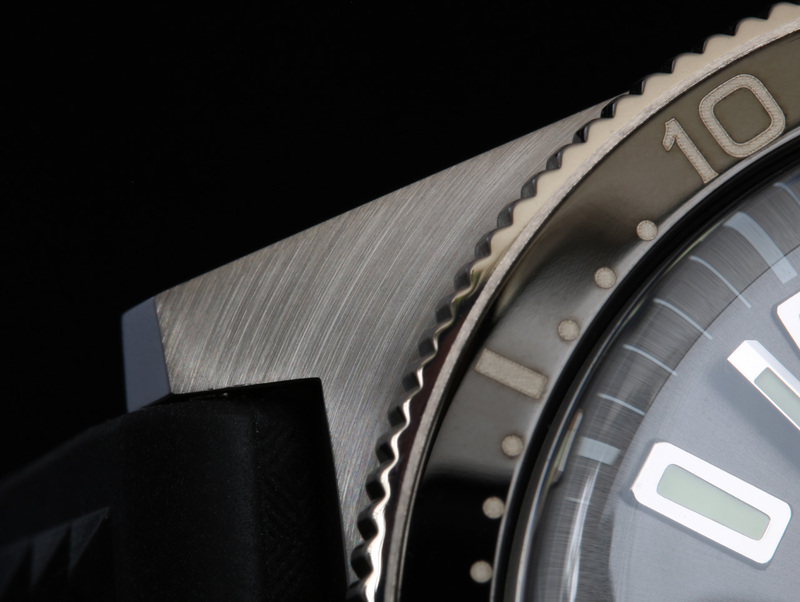 Great review of a cool watch. Great review.......I'm still chuffed with my 62mas re issue! 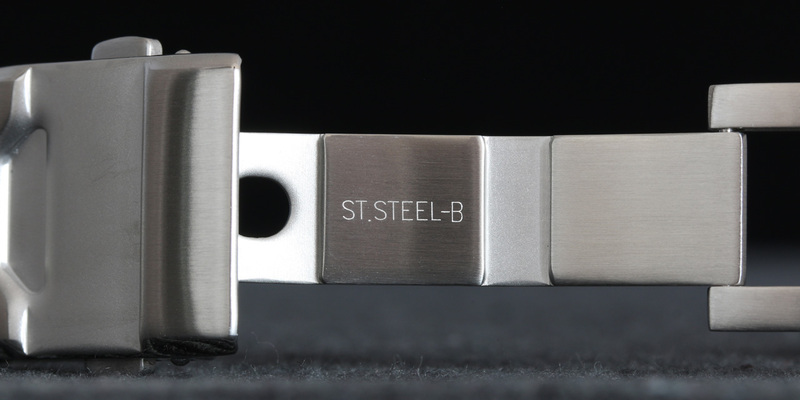 "...In my personal opinion, the bracelet was an afterthought. 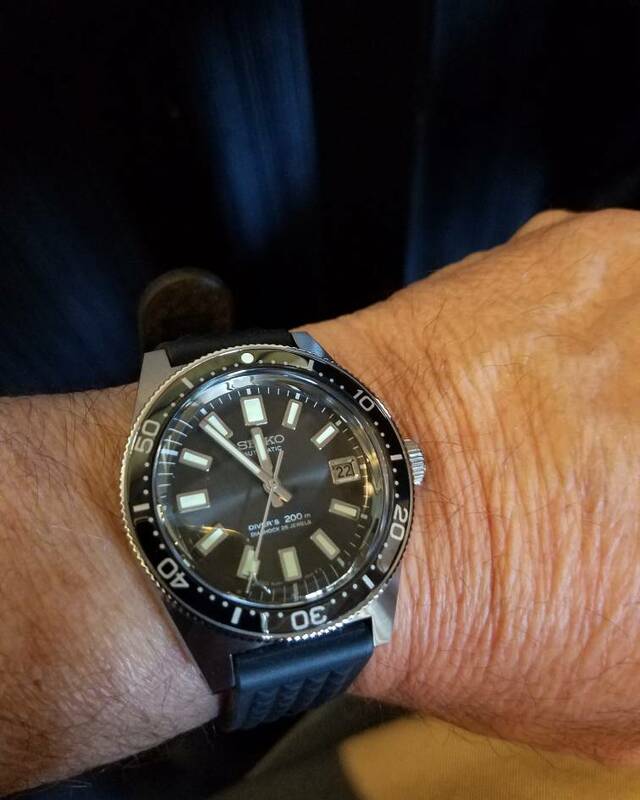 In any event, I would grade it as the same level of quality as the one that came with my €300 Steinhart..."
Since the Steinhart's rudimentary, "double-locking fold-over clasp" bracelet does not have a diver's extension*, the Seiko bracelet is clearly an improvement - I therefore stand corrected! 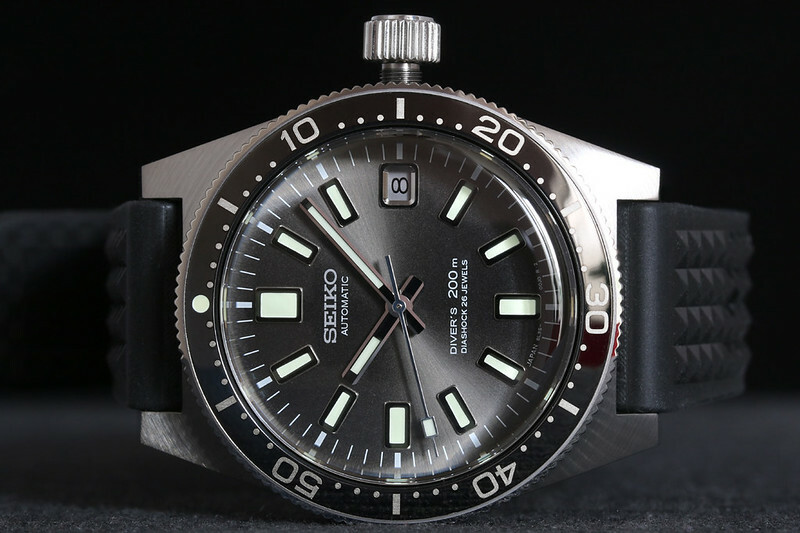 It's also evident that Seiko's comes with a release-button function, however this is a minor difference in comparison... .
What amazing photos! Thanks for sharing. 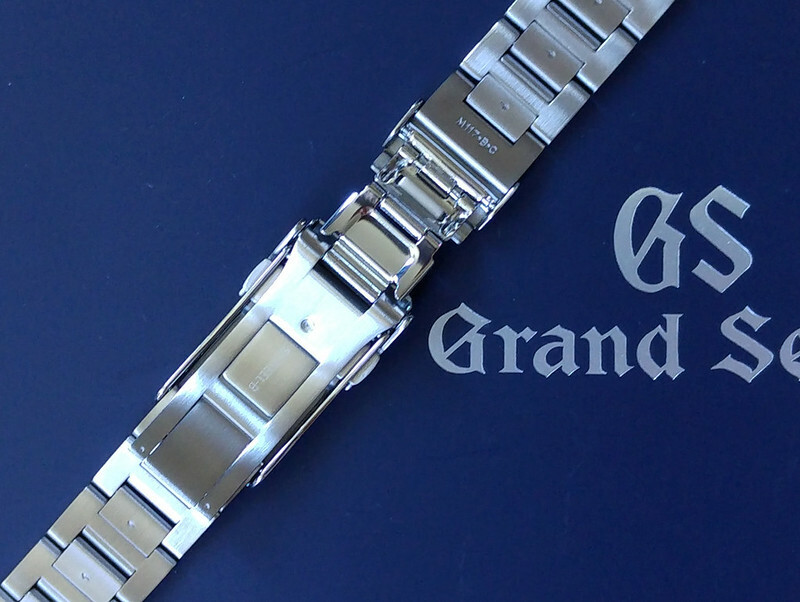 And what an amazing watch! I picked mine up this week and I'm thrilled with it. An absolute killer!!! 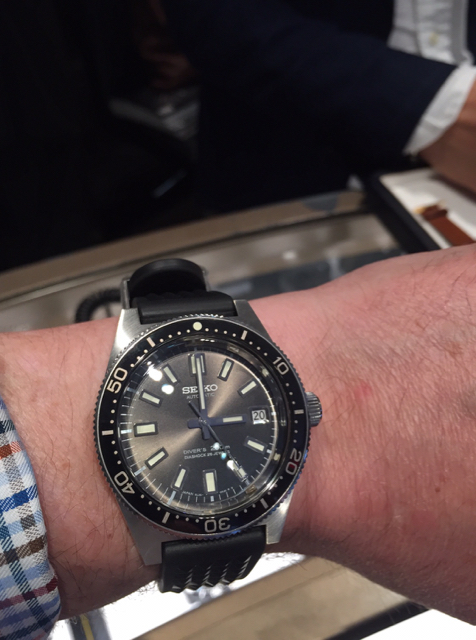 I placed my order immediately from the exhibition floor at Basel World as soon as I saw it. 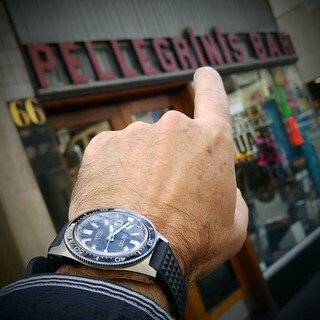 It was my favorite watch in the whole show. I'm glad I did because it's looking like demand will be high for this one. I'd post photos but for some reason the site no longer lets me post photos from the iPhone, saying tha they are too large. I don't get it. I've been posting iPhones for years. Mods do you know what's up? @Descartes, @Tomalf123 - congrats, gents! 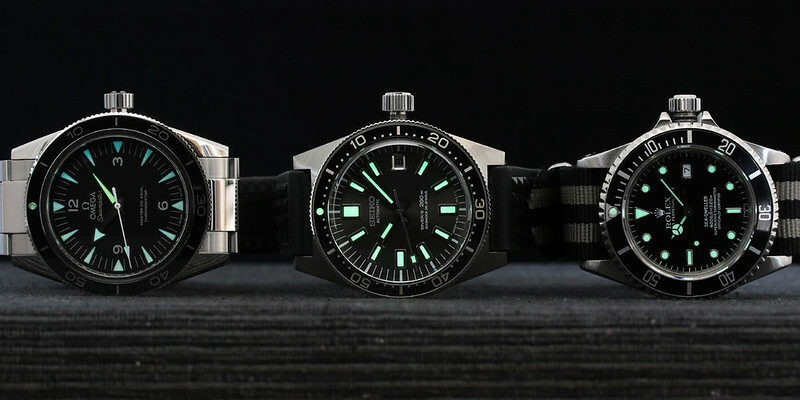 Nice pictorial review especially on the comparison with the diver models of the other brands. Mine 8LMas or 17Mas would like to say hello! I love mine more everyday!! I highly recommend anyone on the fence snagging one if you can find it. 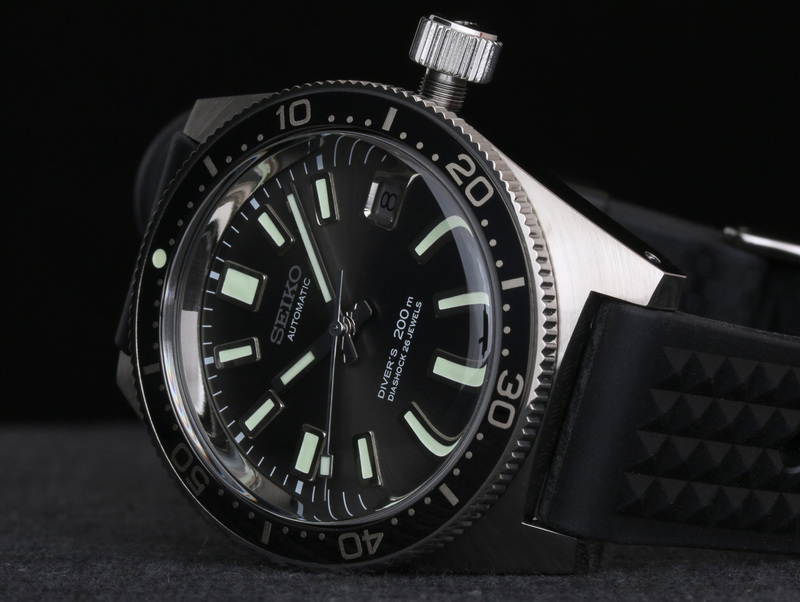 Nice watch and very nice review. I am wondering, what's the lug width of the bracelet at the clasp? 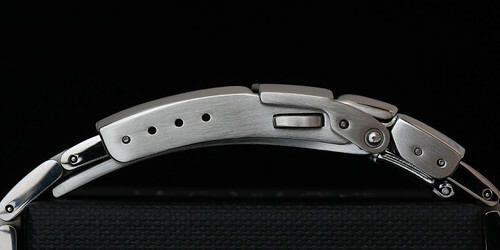 Maybe it can be replaced with the MM300 clasp. It's already been done (photos on another thread). 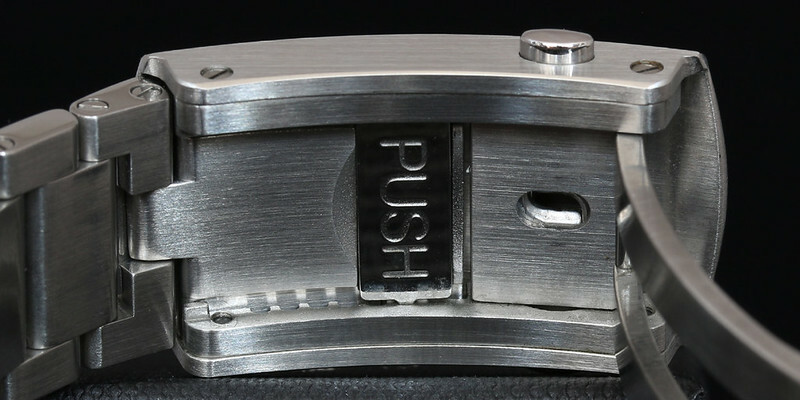 Question is how much more functionality / quality should we expect from such a mod ...? 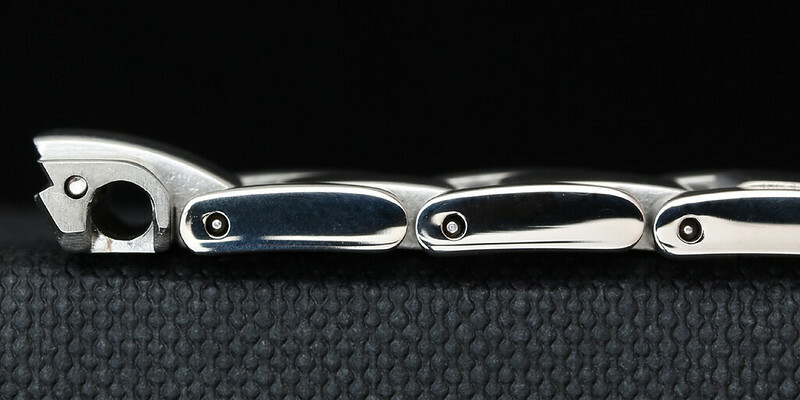 well, you would have the adjustable clasp. 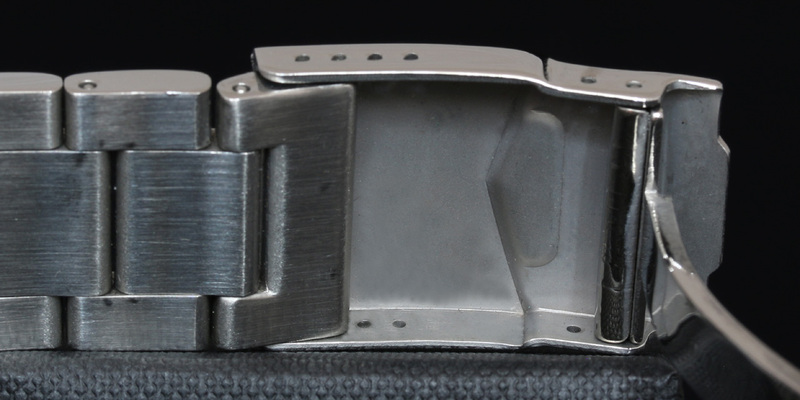 but the down side is the that the extension digs into my wrist a little bit (when I had it for another watch), and the clasp is thick. 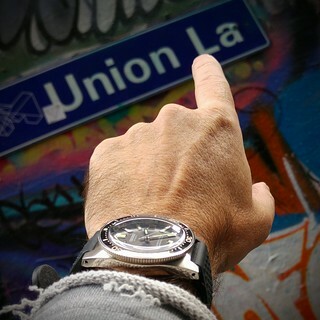 I wasn't aware of this one, thanks so much for the photos and info....and many congrats! Very cool piece. 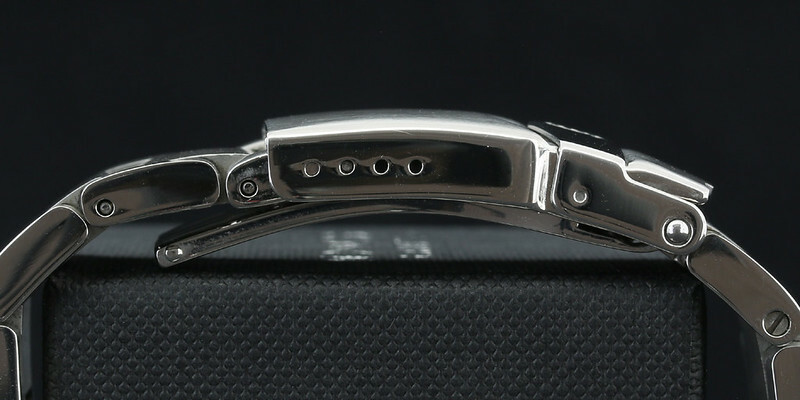 It's a beautiful piece, but the bracelet is definitely a letdown. I'm excited to test out the 8L35 myself in my incoming MM300 SBDX017! 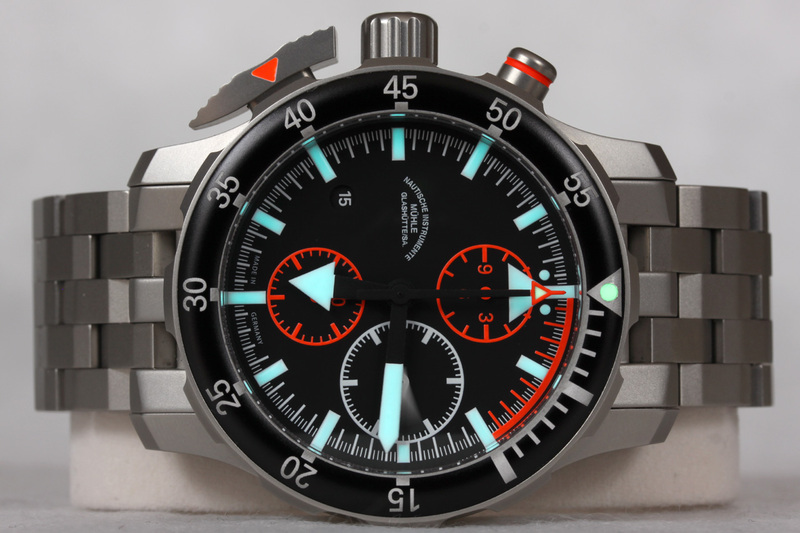 really nice watch, alas many will dismiss through ignorance of the brand. She sure looks nice though - enjoy!